Color-coded pumps are calibrated to dispense a precise mix of five parts TotalBoat 5:1 epoxy resin to one part TotalBoat hardener. Push down one full stroke on each pump to get the right ratio every time. Pumps are color-coded to match their respective products. The white pump works with the resin; the black pump, with the hardener. 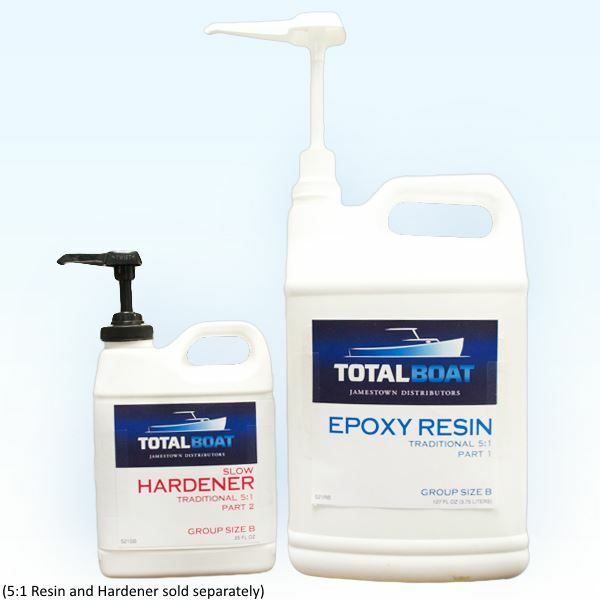 No more wondering if your batch of epoxy contains the right resin to hardener ratio. TotalBoat pumps are calibrated to automatically dispense the appropriate 5:1 mix ratio with a single pump. That means one full pump stroke of resin yields 5 parts, and one full pump stroke of hardener for one part hardener. 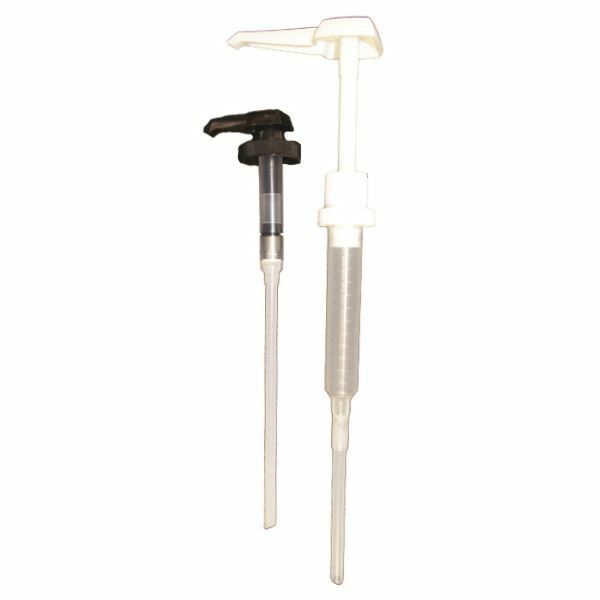 The pump heads are color coded so you don’t mix them up: simply attach the white pump to your 5:1 epoxy resin container, and the black pump to the hardener container. No messes, no guesses.